Life is a series of special moments. Though we can't make them last, photos allow us to relive them again and again. A baby's first steps. Your daughter's high school graduation. Weddings, anniversaries, birthdays, vacations. These times are too special to miss capturing because of a dead camera battery. 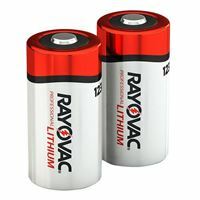 Keep plenty of Rayovac Photo batteries on hand and never miss another moment. No photo battery lasts longer through all your clicks, flashes and zooms... and for less cost than other higher-priced brands.